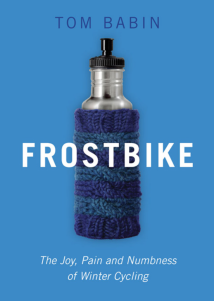 I recently read the book Frostbike, by Tom Babin. Going in, I had a lot of questions about whether year-round cycling is a realistic option for most people. The book is a refreshingly inspiring take on winter. Winter cycling is certainly doable, and very common in many cities. How do we get there? Firstly, we have to personally plan for it by choosing the right bike equipment and clothing. 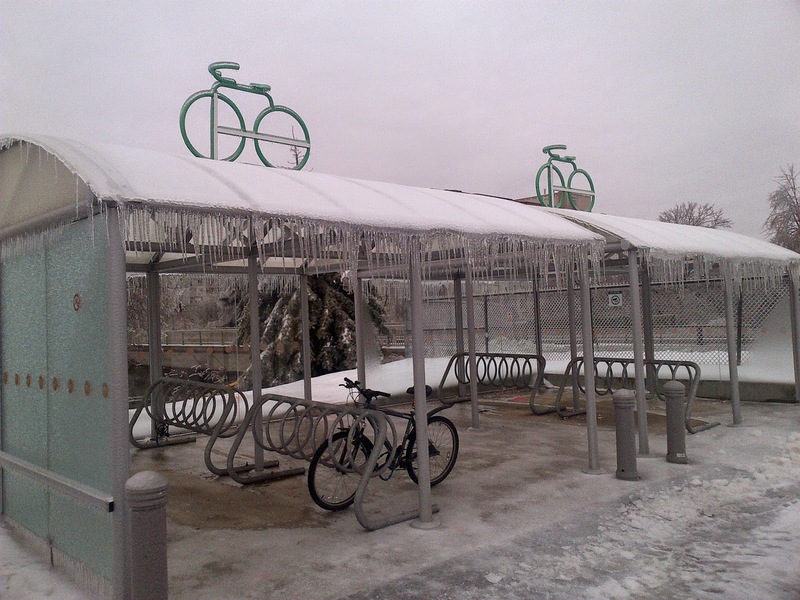 Secondly, our city needs to support winter cycling through adequate infrastructure and maintenance. However, what's the main thing holding us back? : our attitude. "Bike infrastructure can work wonders for most of the year, and having it used less frequently for a few winter months doesn’t negate its need." 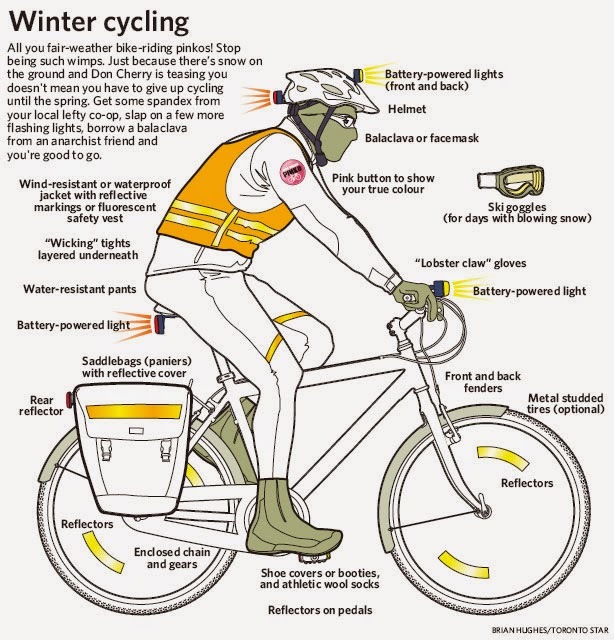 "Our personal and collective outlooks on winter are key to the mass acceptance of year-round cycling."... 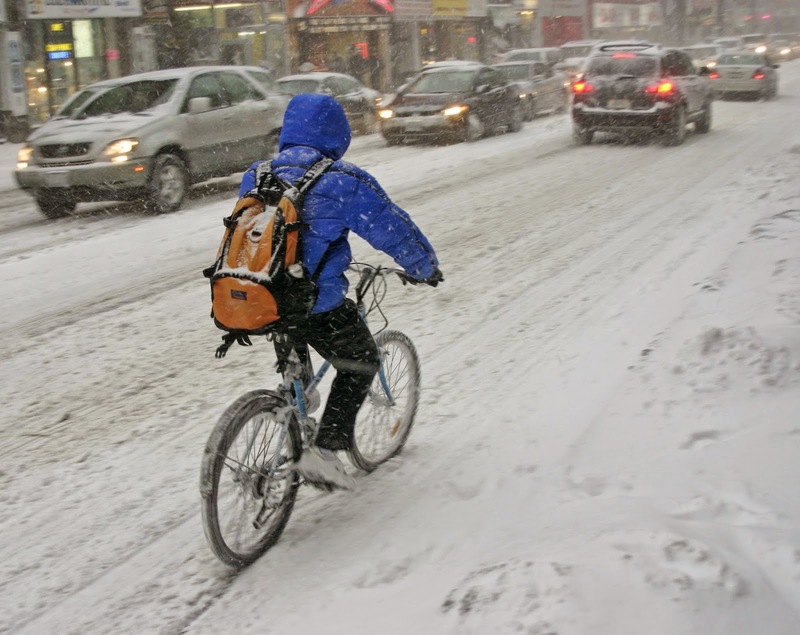 "A city that encourages year-round cycling helps normalize it."... "The three most bike-friendly cities in North America have harsh winters: Montreal, Minneapolis, and Anchorage"
"When women, children, and the elderly, not just aggressive young men, start to see the bike as an easy way to go shopping, to school, or to work, then our cities will start to enjoy improvements in our street life, our economy, our health, and our transportation systems." I snapped this photo in a Toronto a few years ago. But the truth is, most of our winter days aren't this extreme. We tend to exaggerate our winter weather. 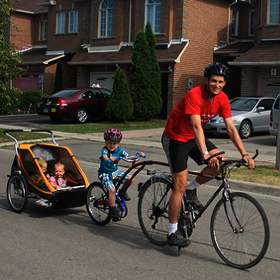 I would say that most of the neighbourhood residential streets in York Region are quite bike-friendly all year round. Rural and arterial roads are a different story, but getting better as each new project gets built. 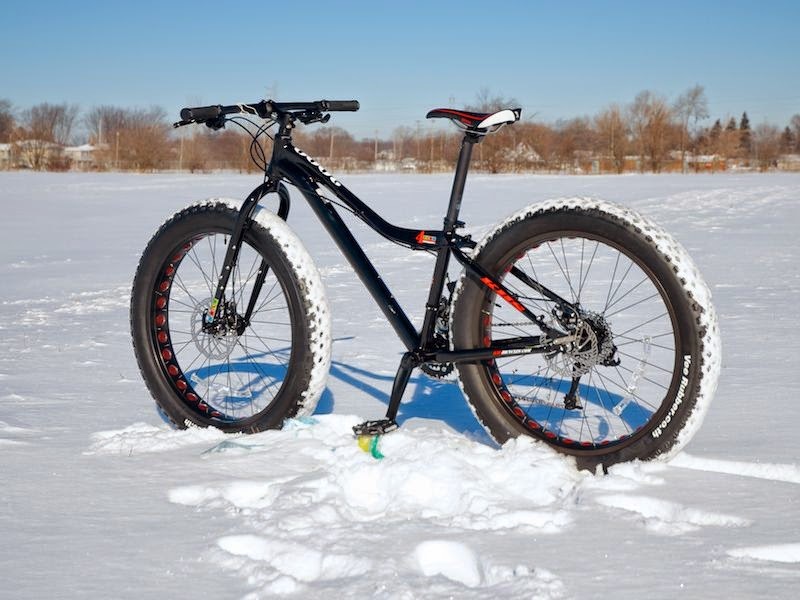 As for the trails, try a Fat Bike! Remember the ice storm last December? Well, there was at least one winter enthusiast at the Richmond Hill GO Station. My main takeaway from Frostbike: Get outside and embrace winter, whether it's cycling or another type of outdoor adventure. It makes the winter season a lot more fun!